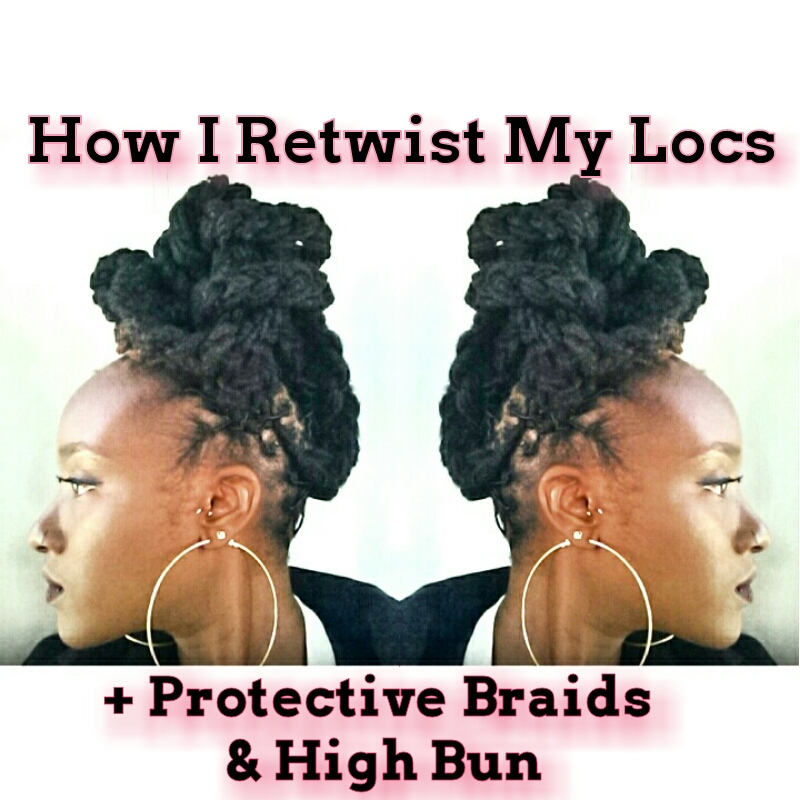 Today I’m finally going to share how I retwist my locs, and the products that I use to get the job done. Disclaimer: this is my first video so please bear with me regarding the quality and editing. I’m sure that I’ll improve as time goes on but you know, we all gotta start some where. 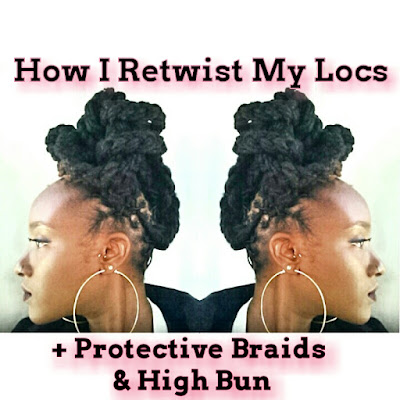 There are pros and cons to DIY loc retwisting. The cons for me are that the more my hair grows, the longer the wash, condition and retwist process as well. Trust me when I tell you that it does not necessarily become less time consuming with practice… because MOOAARR HAIRRR! Lol. Sometimes I'm just not in the mood to tackle all this hair when I need to, but it ain't gonna wash, retwist, or style itself. The pros for me outweigh the cons, especially when I’m in the mood to DImY. I save money. I know what is being used on my hair and scalp. I honestly do not feel pressured to style or wash my hair every two weeks (when I’m not working out). There's no one to get mad at but myself if my hair isn’t done the way I like, and because I don’t like being mad at myself… you see where I’m going with this. Maintaining my hair myself has also given me an intimate knowledge of my hair and what it needs from day to day. It's also been a learning experience. If I don't treat my hair with love, it wont be healthy and this will show - a lesson that applies to life in general. 🌸 My retwist method: Spoiler alert: I palm roll! I get as detailed with this as I can, and I also share tips on how to minimize stress & tension on the hair which can lead to breakage. 🌸 My special retwist method for my edges: My method is not necessarily revolutionary, however I’ve found my method to help keep the strays in the loc and not flying everywhere (can we say edges laid). If you like gelling down your baby hairs I have to let you know right now, my method ain’t for you. 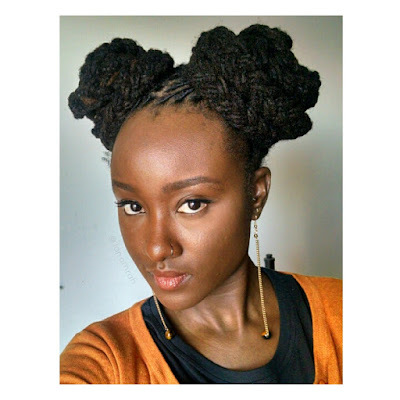 🌸 An easy protective style for locs, and a couple suggestions on how to style that protective style. IT’S A LOC STYLE INCEPTION!!! Please bear in mind that this is how *I* reloc my hair. This is what works for me and my type & texture hair. Watch the video and check out my product list. What’s your favorite product to use for retwisting? Leave a comment below. *This post contains Amazon Affiliate links. This means that I'll earn commission if you purchase on Amazon through any of the links in this post. 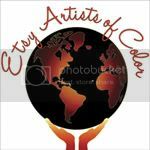 My reviews and recommendations are based on my honest opinion and experience.